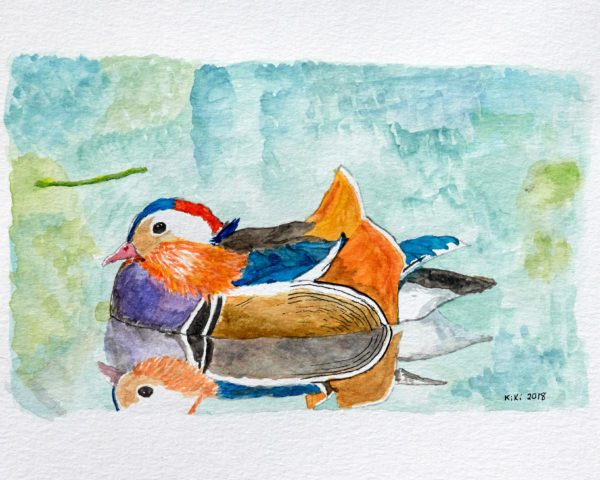 What is A Year of Birds without Mandarin Patinkin, the Central Park duck? He’s flashy! He’s adorable! He’s an internet sensation! 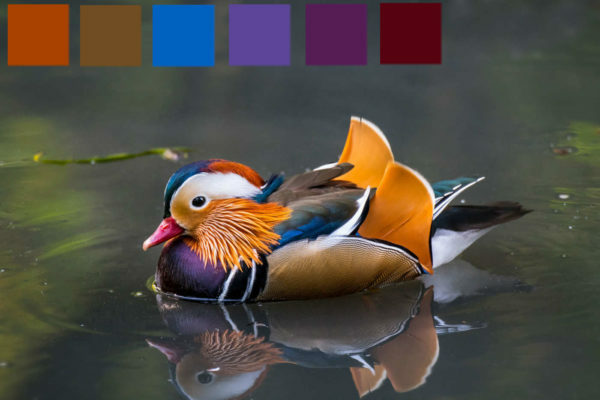 He’s COLORFUL! November’s club is dyed on 80% USA Targhee/10% bamboo viscose /10% Tussah silk, which is a major favorite of mine. If you’re not familiar, you’re in for a treat. How can this blend be so crimpy and fluffy and silky and shiny all at once and be a cohesive spin? No idea. It shouldn’t work as well as it does. I’m not questioning it, just going with it. The wool in this blend is USA-grown and processed and has a micron count of 23/23.5 and a staple lengh of 3-5 inches. 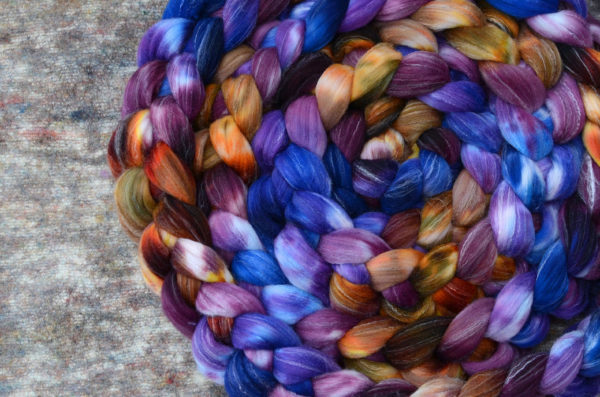 Prepare for your yarn to bloom substantially. Thanks, Mandarin Patinkin, for inspiring many with your beauty!